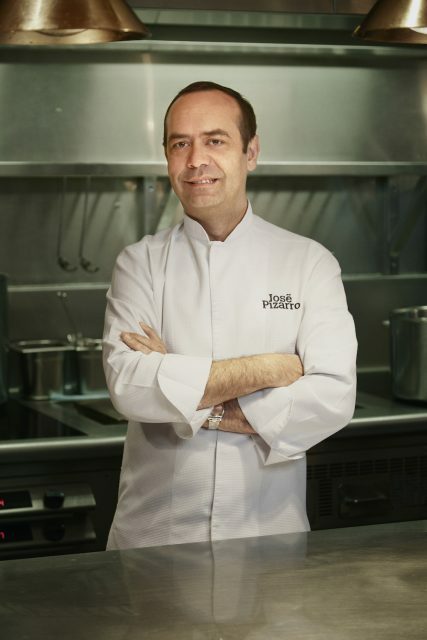 Spanish chef José Pizarro has taken ownership of a pub in Esher, with plans to transform The Swan into a “Spanish pub”, extending his London-based restaurant group outside of London for the first time. Having spent weeks researching the Surrey suburb, Pizarro said his team had found “amazing enthusiasm” for a Spanish restaurant in the area. The Swan Inn will bring José’s family cooking values to Esher while maintaining a British Pub feel. The menu will include José tapas favourites to share, including croquetas, tortilla and 100% 5J Jamón Ibérico, as well as classic pub favourites that have been given a “José twist” alongside signature regional Spanish dishes using locally sourced produce. Keeping with pub traditions, there will be a wide selection of real ales, draught beers and of course Estrella Damm on offer. Wines will predominantly be of Spanish origin with a small selection of European and English favourites to compliment the wine list. It’s highly likely that will include Pizarro’s own range of wines from the village of Arcos de la Frontera in Andalusia, which he launched last year. Pizarro’s range includes a 2017 Chardonnay and a 2016 Syrah blend made in the province of Cadiz. According to Pizarro, the Chardonnay boasts aromas of “white flowers, citrus fruits, peach and aromatic herbs”, and offers “intense fruit, minerality, saltiness and a long finish” on the palate. The Syrah blend meanwhile, contains 20% Tintilla de Rota and 5% Cabernet Sauvignon, leading to aromas of “blackberries, cacao, leather, spices and vanilla”. Pizarro says the Syrah, which spends six months in two-year-old French oak barrels, offers “red fruit, balanced acidity and a long and elegant finish”. The wines are made at Bodega Huerta de Albalá in Arcos de la Frontera, which produces a range of wines including a Cabernet Sauvignon, Merlot and Tintilla de Rota. Pizarro also has his own brand of 100% extra virgin olive oil produced from the rare Morisca variety. A private dining room for celebrations will be available, while an al fresco dining area will be available in the warmer months complete with an outside kitchen and food cooked over open fires. There are also five bedrooms available to book in a converted barn next door to the pub for those wishing to stay overnight.